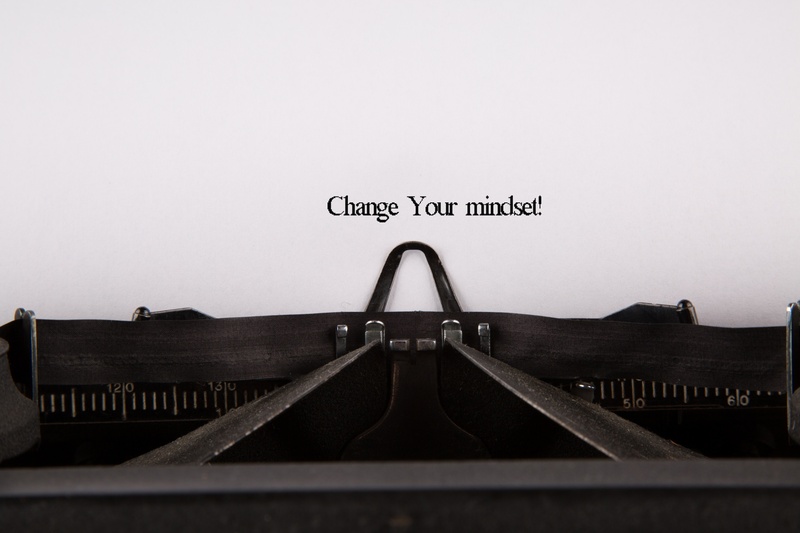 Do you wish you could change your mindset? Do you wish you were different? Better at things in your life that you struggle with? More successful? Or would you like to lose weight? Have better health and nutrition habits? How about feeling more positive about life? You may think that the path to change your mindset is hard; that it takes a long time to make things different. But it really doesn’t have to be. It all depends on how you change your mindset. You see, I believe that lasting change happens in an instant. Sure, this goes against our mainstream beliefs. Most believe that the ways to change your mindset has to be a struggle. They expect to try and fail numerous times before ultimately losing or succeeding. For example, how many people do you know who struggle with their weight? These are people who want to make a healthy change by getting in shape, but the change never seems to happen. Why is that? What is the biggest part of your life that you want to change? Do you have inches to lose? Do you have preventable diabetes? Do you have a pair of jeans that you want to fit into but you can’t quite squeeze into them comfortably? Or maybe you have an goal completely unrelated to fitness that you haven’t accomplished yet. What specifically is keeping you from making this change in your life? According to professional speaker and author, Tony Robbins, it’s the preparation for change that takes times. In the end there’s a single instant when the change occurs. Use these three steps to instantly create a lasting change and a reinvented you. Step #1 to Reinvent Yourself: Believe that something in your life must change. Do you kinda want to get into shape or do you absolutely have to lose the weight? Does dropping a few pounds sound nice or is living another day in your current body simply unbearable? In order to reinvent yourself, you must believe wholeheartedly that things must change. Step #2 to Reinvent Yourself: Believe that you must change it. It is vital that you take full responsibility in making the change rather than assigning responsibility elsewhere. Sure, others may help you, but in the end you are the one who is going to make it happen. You have to want this change enough to make it your personal mission—no one else can do it for you. Step #3 to Reinvent Yourself: Believe that you can change it. Don’t let past failures get you down. The truth is that you are capable of amazing things when you put your mind to it. Believe that you are able to lose weight or to make any other positive change in your life. Why do most people fail to make change stick? They rely on willpower. This works for awhile, but you’ll soon revert back to what’s comfortable. The solution? Change what you are comfortable with. People are motivated by two things: 1) to avoid pain and 2) to gain pleasure. When you want to change a behavior pattern the key is to associate pain with the behavior that you don’t want and pleasure with the behavior that you do want. It’s time to retrain your brain to feel good about exercise and to feel bad about eating late at night. Think about all of the negative things about being overweight and connect these unpleasant thoughts to your late night snack. Now think about all of the wonderful things about being in shape and connect these pleasant thoughts to exercise. You are capable of making big changes in your life because, remember, change happens in an instant. Change your mindset on how you approach the obstacles in your life, and change will come quickly.